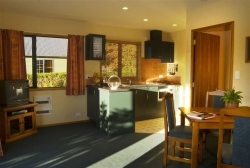 Make your visit to the Te Anau lakes district a memorable one with Birchwood Cottages. 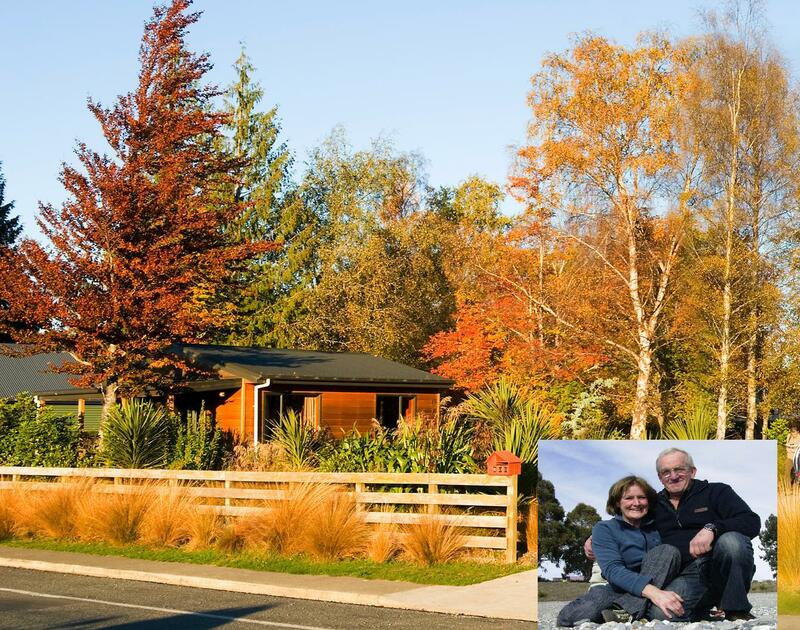 Nestled amongst peaceful birch trees, with views of the majestic Fiordland mountains, This is accomodation in true New Zealand style. 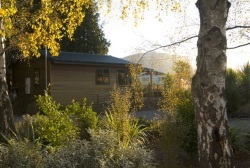 Our cottages feature a distinctive modern styling and are secluded and private. 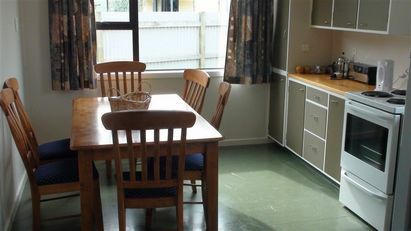 They are fully furnished, and include a full kitchen and heating facilities. 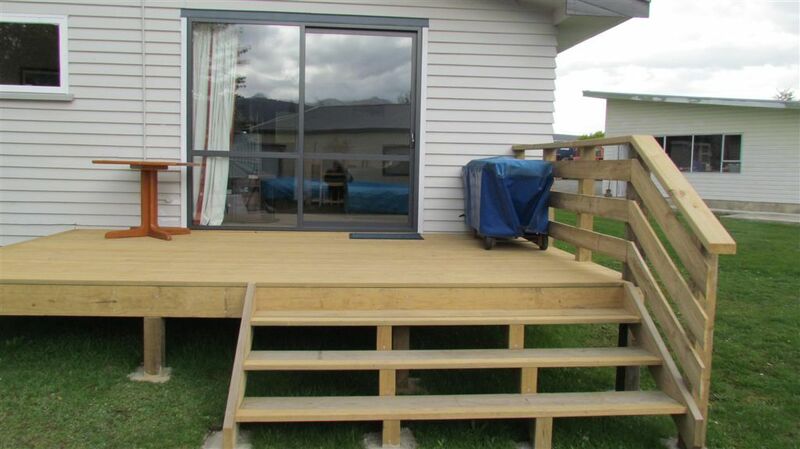 Private decking, out door table & chairs with each cottage having their own private barbeque. 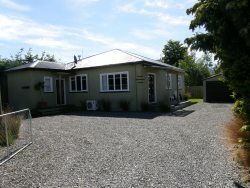 This 3 bedroom cottage is fully self contained and has beds for 8 people. The advertised rate is for 2 nights. 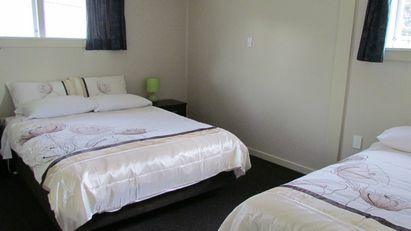 One night stay rates are negotiable by arrangement It is 600 meters from the Birchwood office and the address is 2 Anderson Place and is the only place on the large section.It was new in 2006. 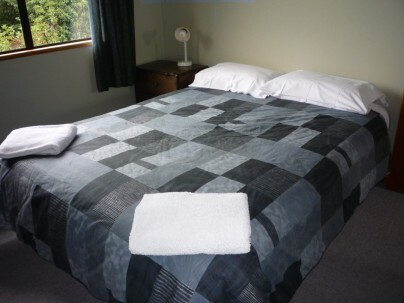 Bedroom 1 Queen Bed & Single Bedroom 2 Queen Bed Bedroom 3 Two singles A sofa bed in the large lounge that we allow the 8th person Washing machine and drying facilities. 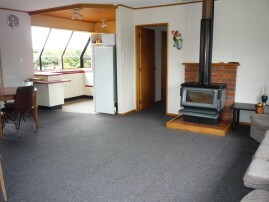 The cottage has a full oven, fridge-freezer, microwave oven. 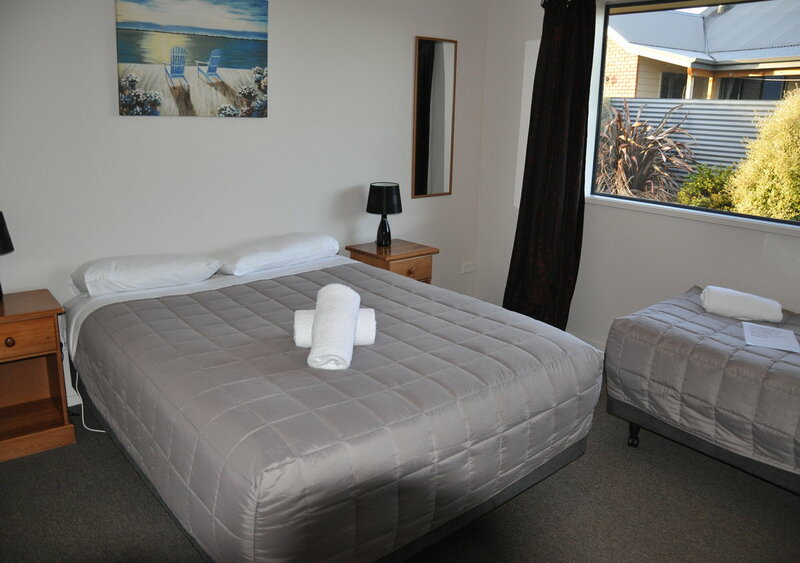 Linen, towels etc are part of the accommodation. Telephone and free wireless internet. Free view TV (15 channels). Two bathrooms. One bath, two showers and two toilets. 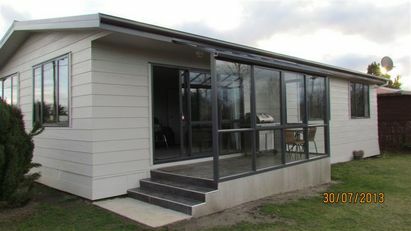 There two air conditioning heat pumps supplying cool/heat sufficient for the coldest or hottest day.The BBQ and outside furniture is exclusive to the cottage. Extra car parking is available for families with extra cars,boats etc. Calls to Australia and New Zealand are Free at our office. 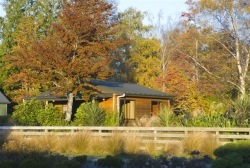 We provide transport to and from the nearby walking tracks and make parking available when required. 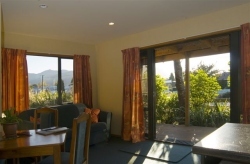 We can provide transport from the Queenstown airport if required. 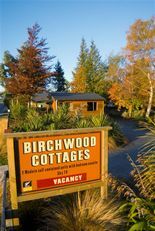 Guests of Birchwood cottages are offered a special 20% discount for the premium small group tour to Milford sound with "Fiordland Tours" www.fiordlandtours.co.nz The tariff advertised is for 2 night minimum. One night tariff by inquiry. 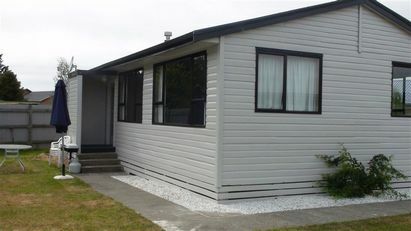 This is a fully self contained 3 bedroom unit with a Satellite TV (15 channels), Stereo, Heat Pump, BBQ, Laundry, Bathroom with shower and the one toilet is a separate room. There is a second toilet available for guests use. 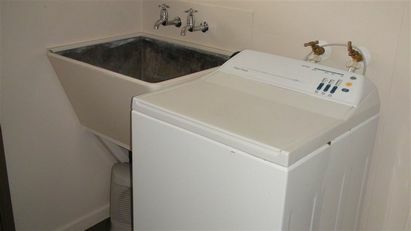 There is a fridge-freezer, microwave, full oven. 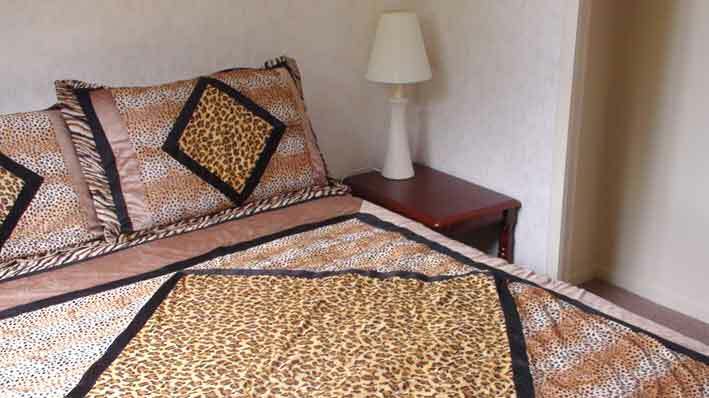 Linen and towels etc are included. It has beds for 8 people. Queen & Single, Queen & Single, Queen. Extra car parking is available for families with boats etc. Our nearby office is available for you to make any phone calls. Calls to Australia and New Zealand are Free from our office phone. Wireless internet free. We also have a computer in our office for guests use. 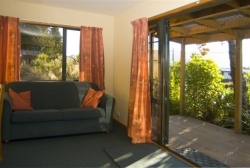 We make transport to and from the nearby walking tracks and make parking available when required. 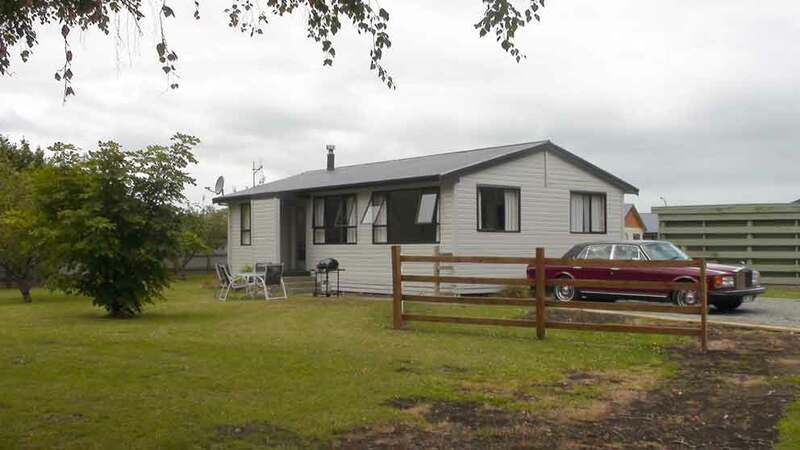 If you are planning to come here by coach etc we can supply transport in and around Te Anau. 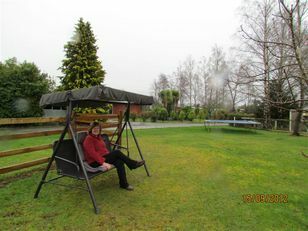 We can do transport from the Queenstown airport if required. The tariff advertised is for 2 nights. One night tariff by inquiry. 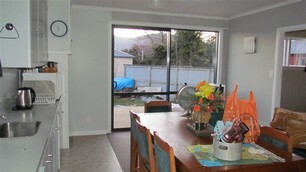 Description This 3 bedroom cottage is fully self contained and has beds for 8 people. It is 100 meters from the Birchwood property and on the same road, and is the only place on the large section.It was new in 2013. 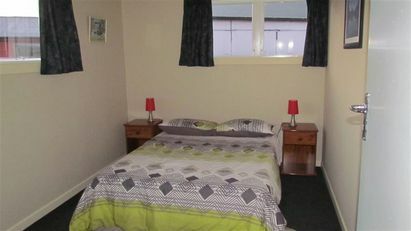 Bedroom 1 Queen Bed & Single Bedroom 2 Queen Bed & single Bedroom 3 Queen There is a washing machine and drying facilities. 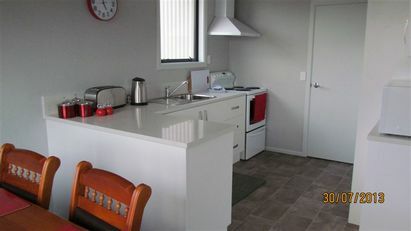 The cottage has a full oven, fridge-freezer, microwave oven. 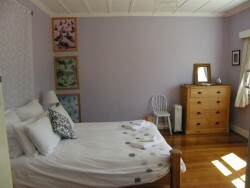 Linen, towels etc are part of the accommodation. Telephone and free wireless internet. 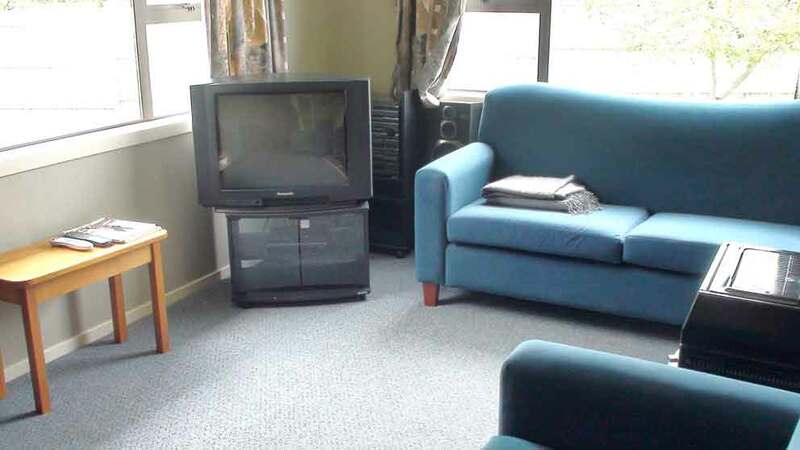 Free view TV (15 channels). Two bathrooms, and the one toilet is a separate room. Bathroom one has a shower over bath and Bathroom two is a shower only. 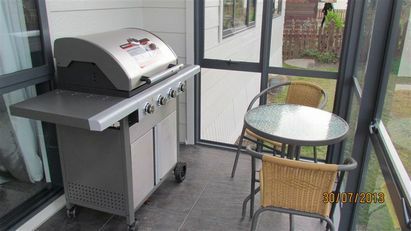 There are two air conditioning heat pumps supplying cool/heat sufficient for the coldest or hottest day.The BBQ and outside furniture is exclusive to the cottage. Extra car parking is available for families with boats etc. Calls to Australia and New Zealand are Free at our office. We also have a computer in our office for guests use. 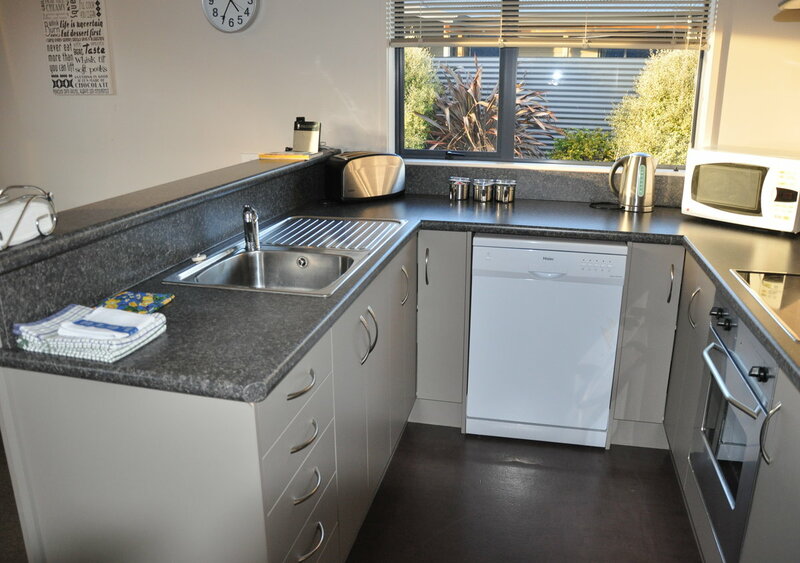 We provide transport to and from the nearby walking tracks and make parking available when required. 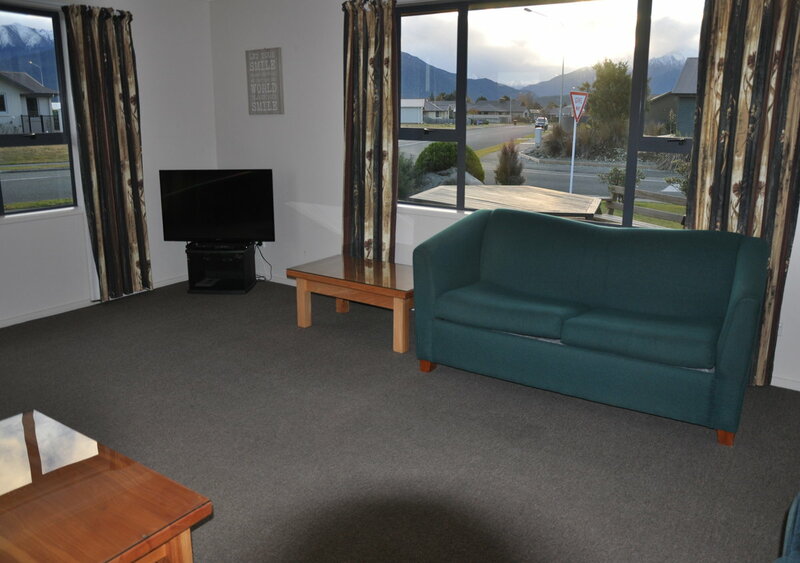 If you are planning to come here by coach etc we can supply transport in and around Te Anau. 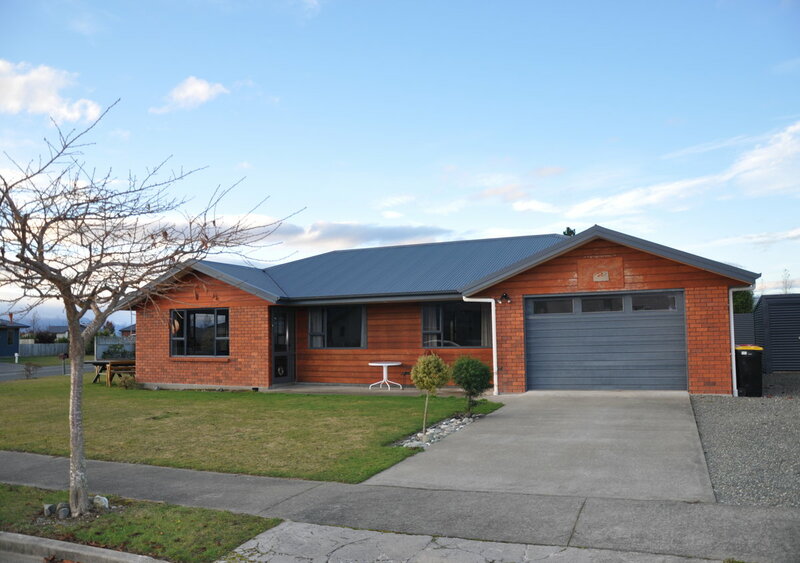 We can provide transport from the Queenstown airport if required. 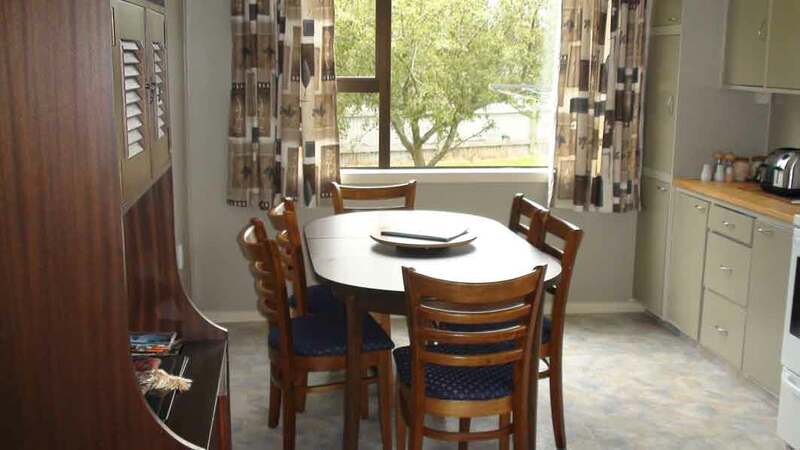 Guests of Birchwood cottages are offered a special 20% discount for the premium small group tour to Milford sound with "Fiordland Tours" www.fiordlandtours.co.nz The tariff advertised is for 2 nights minimum. One night tariff by inquiry. 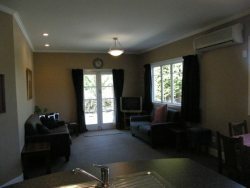 Independent self contained cottages including bedroom with queen size bed, ensuite and lounge with double pull out sofa bed. 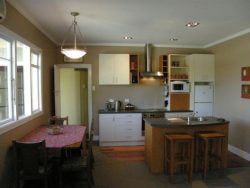 The cottages have a modern kitchen with gas hob,heat pump phone and high speed internet access.Free Wifi. Free land line calls to Australia & NZ. 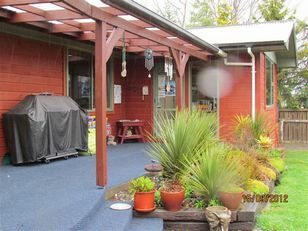 Each cottage has its own decking with out door table and chairs and private barbeque. Continental breakfast available by prior arrangement. 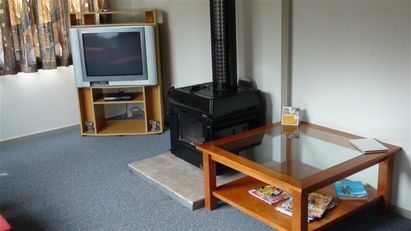 Smoke free environment.Sky TV 60 channels)DVD.Play area. 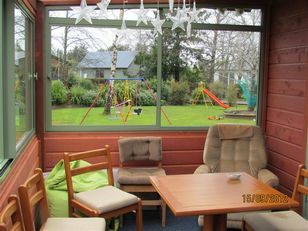 Cot & highchair. Disabled facilities. 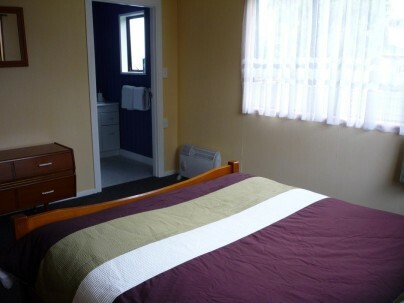 The rate advertised is for a 2 night stay. One night tariff by arrangement. Queen, Queen, Two singles (6 people). One small bathroom with shower over bath,separate toilet room, Quality linen throughout, laundry, ironing facilities available, full kitchen facilities, off street or undercover parking, television (Free view), complimentary tea and coffee, hairdryer, fridge-freezer, BBQ, phone (at office), free wifi The rate advertised is for a 2 night stay. One night tariff by arrangement.